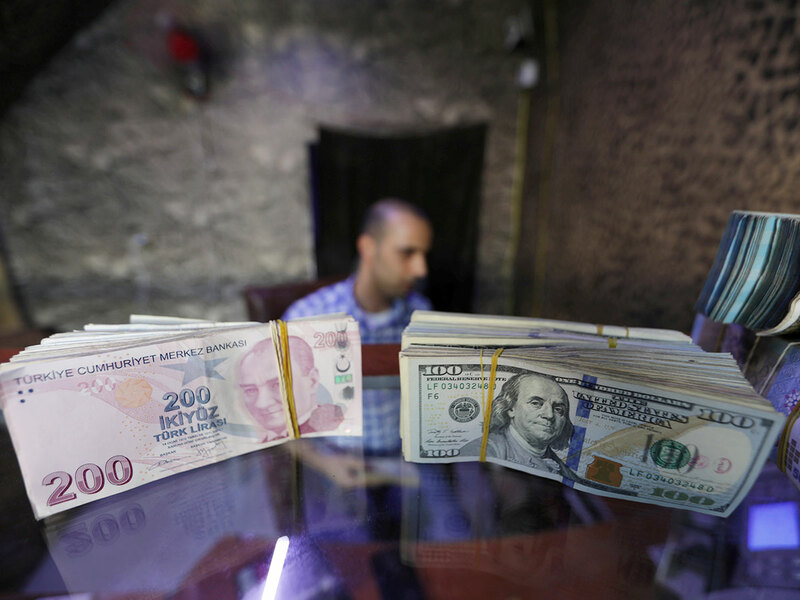 LONDON: Having suffered its worst year in nearly two decades in 2018, Turkey’s lira was earmarked by many as the “comeback kid” of this year — with local policymaking getting the benefit of the doubt at last and global currency markets calming. And the hangover from the 2018 currency collapse has still to hit the local economy with full force, testing the central bank’s resolve in being able to keep interest rates at current punitive levels to defuse the lira-fuelled inflationary surge. Rising tensions with its Nato ally, the United States, fears that the central bank could cut rates too early — it meets for the first time this year on Wednesday — and a government willing to loosen the purse strings in the run-up to municipal elections in March have seen the lira underperform its peers. “If the market concerns subside in the coming days, then maybe the lira would stabilise as well, but I think what is more important is the continuation of these factors, and some of them will be with us clearly for the time being,” said Inan Demir at Nomura. Below are five charts that illustrate the recent sell-off and foreign investors’ involvement in Turkey’s $631 billion (Dh2.32 trillion) economy. Following six straight years in the red, the lira has slipped 3 per cent year-to-date, making it the worst performing emerging market currency so far in 2019. The latest relapse started when Japanese retail investors, who had put money back at stake in Turkey in late 2018, sold out dramatically on Jan. 3, pushing the lira nearly 10 per cent lower against the yen. According to Tokyo Financial Exchange data, Japanese retail investors cut net lira long positions by 42,743 contracts that day, the most since the August 2018 sell-off. Turkey’s $109 billion stock market had a difficult 2018, falling 20 per cent in lira terms. Stocks and debt suffered net sales from foreign investors last year, according to Institute of International Finance data. The last time both asset classes saw outflows was during the 2015 crisis. Equities haemorrhaged over $1 billion in 2018. Central bank data show that trend continued in 2019: Non-resident net-transactions recorded an outflow in shares and domestic debt securities in the week ending Jan. 4. Real returns on Turkish government debt are deeply negative with 10-year government bonds yielding 15.7 per cent, while inflation stood a touch over 20 per cent. Turkey’s central bank is expected to keep its main rate at 24 per cent on Wednesday. However, with inflation falling fast, a long record of surprising markets and a president advocating low rates, experienced Turkey watchers fear it could cut soon, even if not this time. A survey published by the Turkish central bank last week showed expectations for rates to drop 4.5 percentage points to 19.5 per cent over this year. Money markets, although sometimes volatile, are not predicting such a dramatic move, instead pointing to a fall to 22-23 per cent.